The only thing better than a vacation is the anticipation of a vacation. 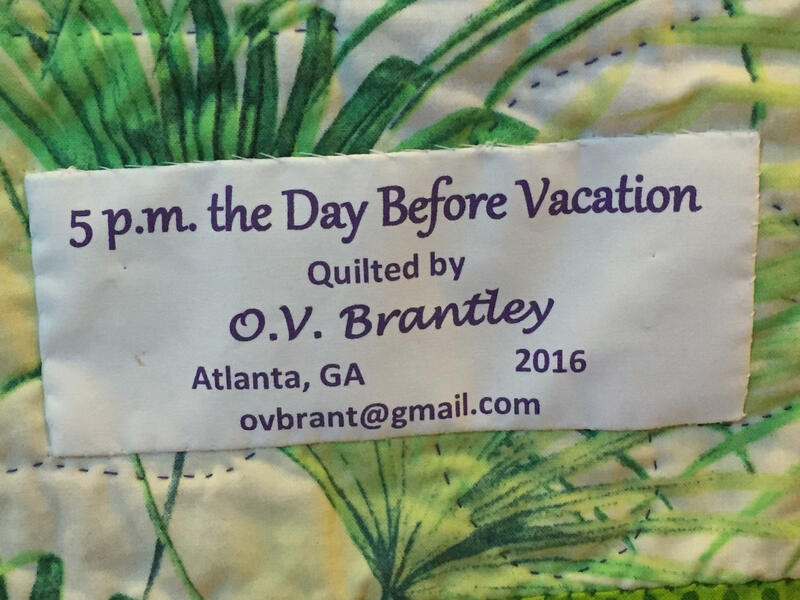 This quilt captures the joy of finally finishing that last work day before you are officially on vacation. 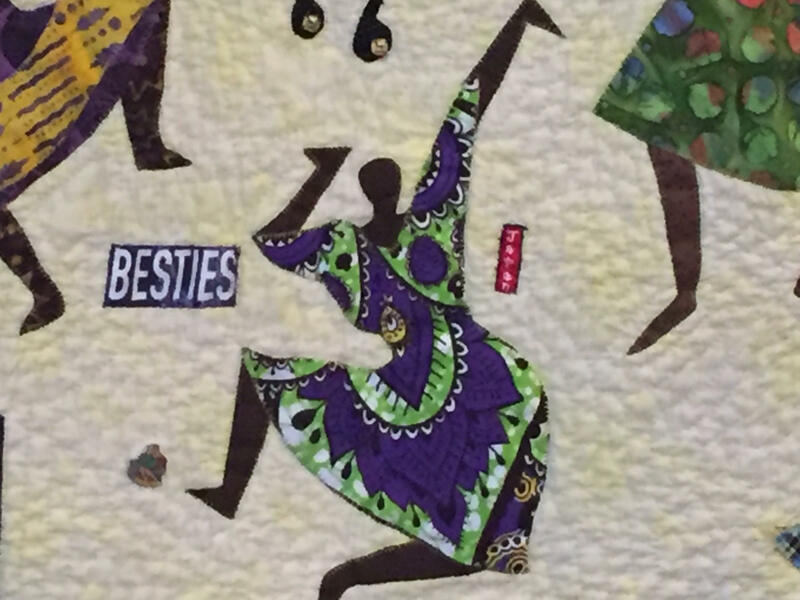 "5 p.m. the Day Before Vacation" features dancing divas appliquéd on a yellow background. 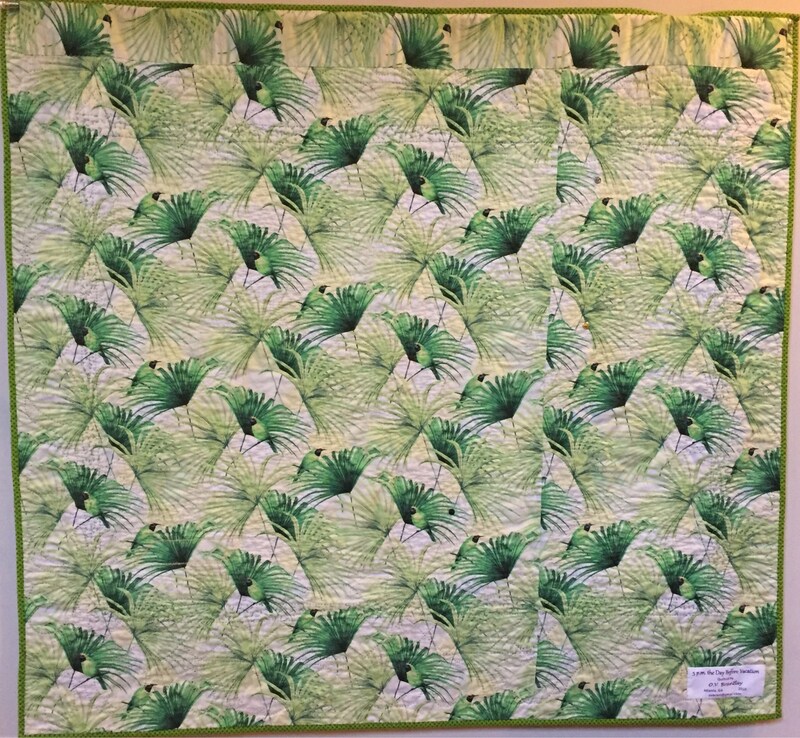 It is based on a pattern by Almost Heaven. 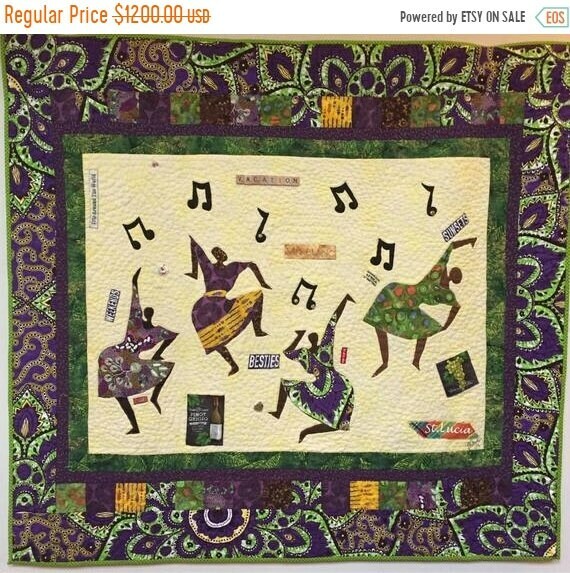 The center of the quilt is framed by a a pieced border and an African border. 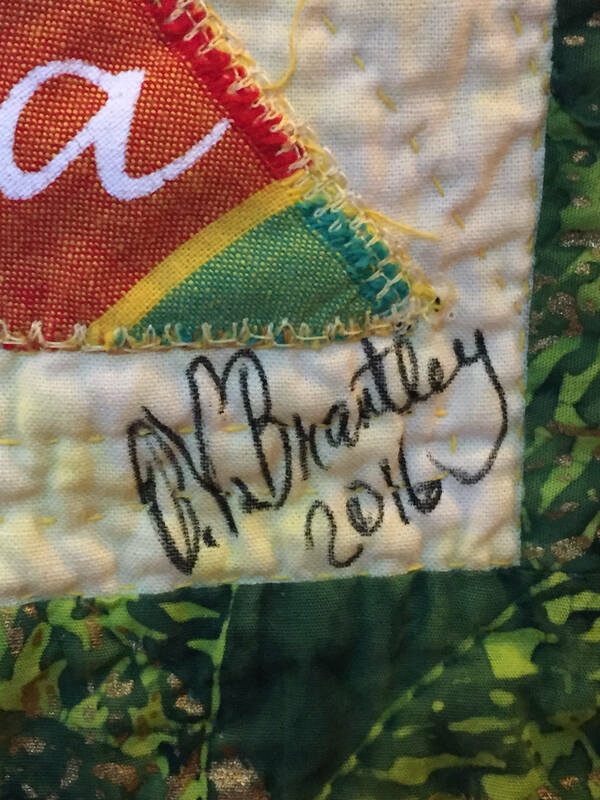 The quilt measures 57x51 inches. 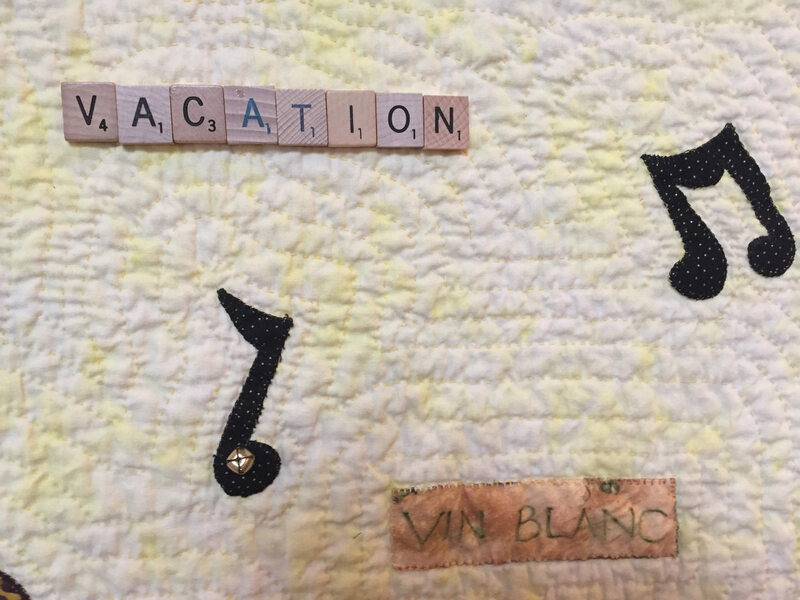 It is lovingly hand quilted and embellished with buttons, beads, jingle bells, words, travel pins and scrabble tiles.